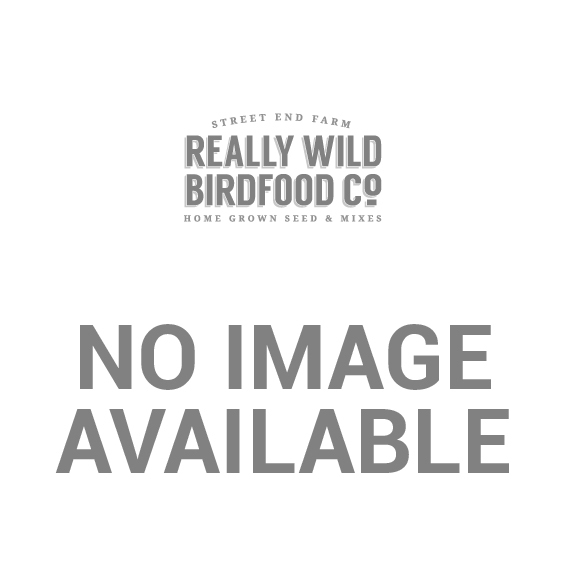 Tidy Garden Mix (TGM) - RWBF Co. 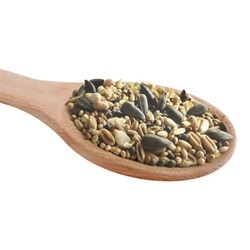 Enjoy feeding your garden birds and keep your garden free from messy husks and sprouting seeds. 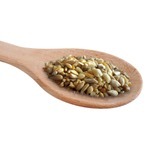 This is our top-selling high energy 'no mess' seed mix. Our Tidy Garden Mix™ contains only ingredients that won't sprout. They are also huskless and everything gets eaten. 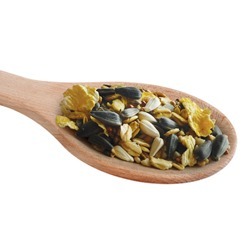 Tidy Garden Mix™ is a really good choice for these summer months when maximum bird numbers will be in your gardens and adults will have their work cut out feeding youngsters. 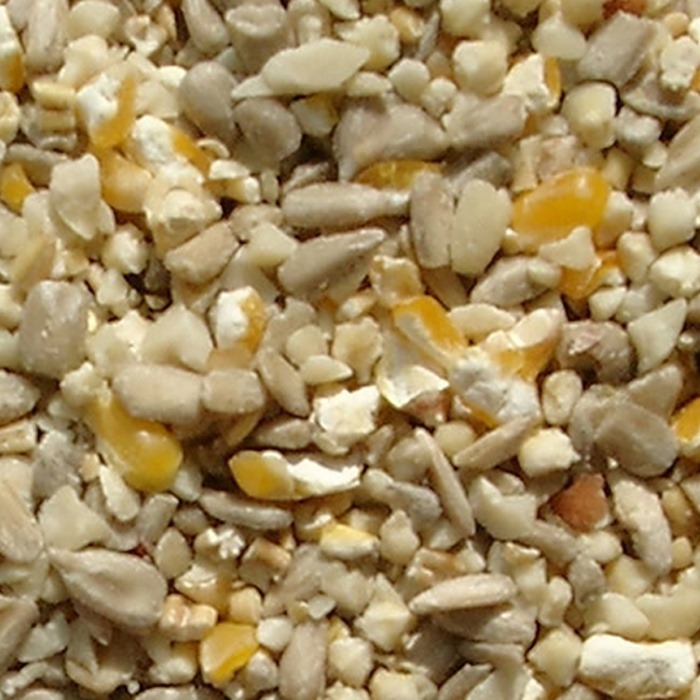 It is hand made on the farm and bagged up fresh - no wonder it is our most loved bird food! 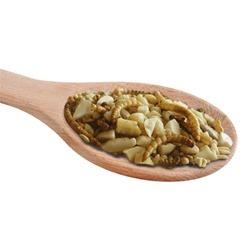 Contains Premium sunflower hearts, peanut granules, pinhead oatmeal and cut maize - you will find that everything gets eaten - leaving no mess and a very tidy garden! 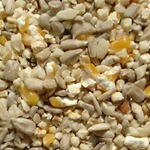 Suitable for all year around feeding, and for use in seed feeders, on feeding stations and on the ground. 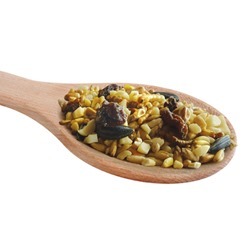 Due to the high content of peanut granules and premium sunflower hearts, this seed mix is not ultra free flowing, so if your feeders do get very wet or inclement weather blows in rain, you may find that feeders will clog. If this does happen, we recommend tiping the contents out and mixing them with some dry Tidy Garden Mix and refilling. The odd shake will keep the seed moving. Your Tidy Garden Mix™ should be stored somewhere cool and dry. We recommend that it should be used within 5 months of purchase - just to make sure it stays fresh and nutritious for your garden birds. As previous supplies, very quick delivery , Birds very happy! I need to refill quite regularly as the birds are loving all of your products. It is still cold here in Devon !